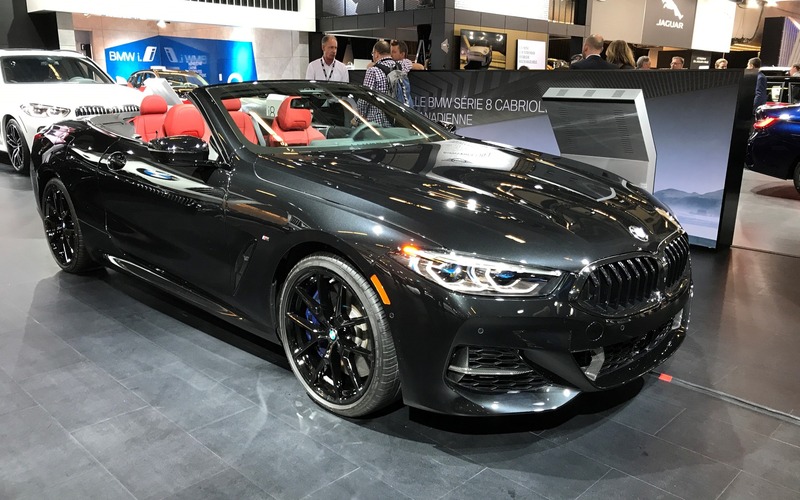 Among the biggest new-vehicle introductions at the Montreal Auto Show, we find the Canadian premiere of the BMW 8 Series Convertible. This model hasn’t been in the company’s lineup since 1999! Offered as a coupe or as a convertible, the 2019 BMW 8 Series will replace the equivalent variants in the BMW 6 Series line. It will represent absolute luxury, performance and opulence in the German brand’s product portfolio. This grand touring car is capable is blistering top speeds, but also coddle its occupants in remarkable comfort and serenity. Equipped with a twin-turbo, 4.4-litre V8 that produces 523 horsepower, the 2019 BMW M850i xDrive can blast from 0 to 100 km/h in only 3.8 seconds. Aside from the 8 Series, BMW held the Canadian premiere of its new 3 Series in Montreal, a German sport sedan we know very well and that won’t waste any time satisfying both driving and luxury enthusiasts. Obviously, the true M version of this sedan should be introduced pretty soon, but for now, the 2020 BMW M340i is stealing the show with its six-cylinder engine that develops 382 horsepower. As in the case in the past, the BMW 3 Series can also be equipped with rear-wheel or all-wheel drive, in addition to a turbocharged four-cylinder engine. These two BMW models should hit Canadian showrooms in the spring.